Please share with those in your community! 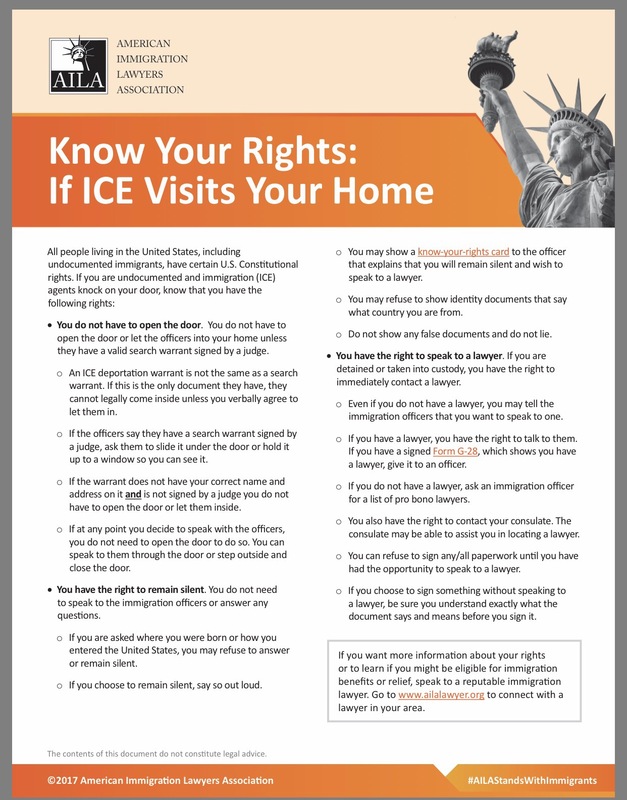 Know Your Rights if ICE comes to your home or work place. 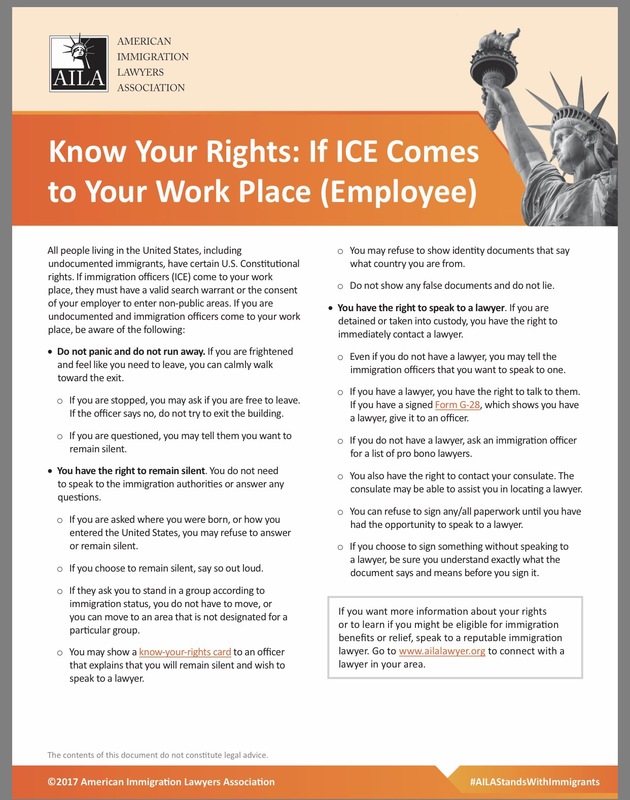 All people living in the United States, including undocumented immigrants have certain U.S. Constitutional rights. Contact us if you have Immigration questions.